Below you can view all the homes for sale in the Cobb Place Manor subdivision located in Marietta Georgia. Listings in Cobb Place Manor are updated daily from data we receive from the Atlanta multiple listing service. To learn more about any of these homes or to receive custom notifications when a new property is listed for sale in Cobb Place Manor, give us a call at 404-998-4102. No Hoa. This Is It! Come Today! 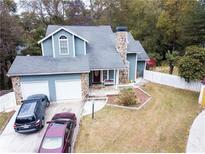 MLS#6529837. Duffy Realty Of Atlanta. Convenient To The Interstate And All Shopping. MLS#6524996. A Plus Realty Georgia. The Finished Basement Has Its Own Exterior Entrance, Full Kitchen, Great Room, Laundry, 2 Beds, 1 Full Bath, Covered Patio, & Large Yard. 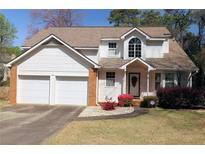 MLS#6524226. Palmerhouse Properties. Full Kitchen, Family Room, 4 rooms, 1Ba, & Jacuzzi Room. MLS#6516232. Refuge Fine Homes.